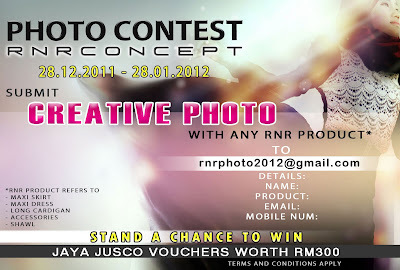 we would like to invite you to participate in our PHOTO CONTEST and get a chance to win Jaya Jusco shopping voucher worth RM300! The contest will starts on 28.12.2011 until 28.01.2012. SHARE this picture to your Facebook profile and you might be selected to receive Jaya Jusco shopping voucher worth RM50.00!